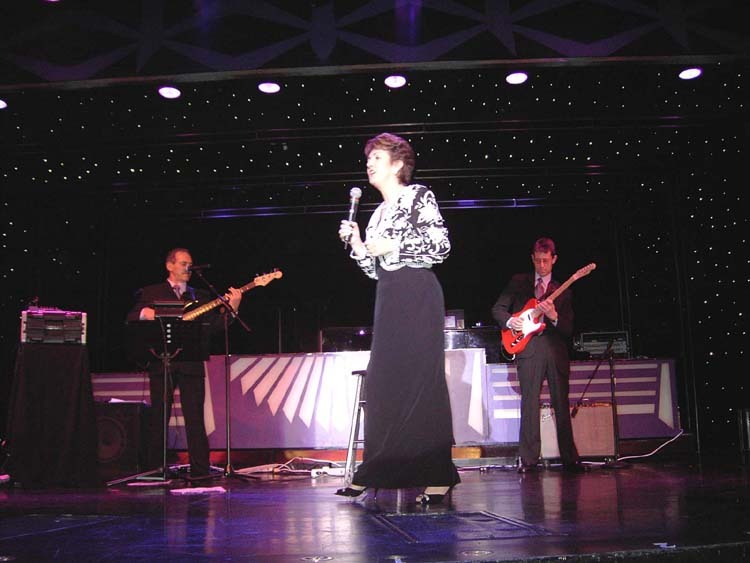 The cruise set sail from Port Canaveral in Orlando, Florida to the Eastern Caribbean aboard the MS Zaandam on the 12th Feb. 2005 with a host of Irish entertainers and once again including of course our very own Ann Breen. This was advertised as the cruise of a lifetime and we were not disappointed. arrived in the embarkation hall before boarding the ship. 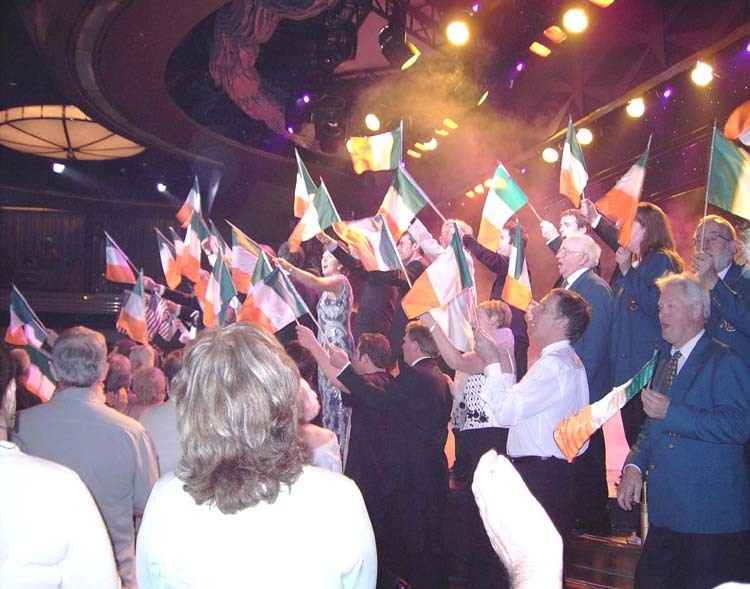 Once on board the guests had lunch and later the New York Showband entertained everyone to an Irish sail away party as the ship set sail at 5-00pm. on the straights of Florida heading for the Caribbean. entertainment from the all star Irish artists was outstanding. Ann appeared on Sunday evening in the Mondriaan Lounge along with Dominic Kirwan and this gave us all an opportunity to once again meet up with Ann and enjoy her music which we have missed so much. On Monday evening Ann appeared again in the Mondriaan Lounge and as always she gave a flawless performance. On Friday evening we were treated to a farewell cabaret extravaganza by the all star Irish cast including of course our own Ann Breen along with Jimmy and Graham. All the artists who had appeared during the week gave a final performance and this was a chance for us to enjoy another fabulous evening. Brendan" catching up on what she has been up to during her extended break. 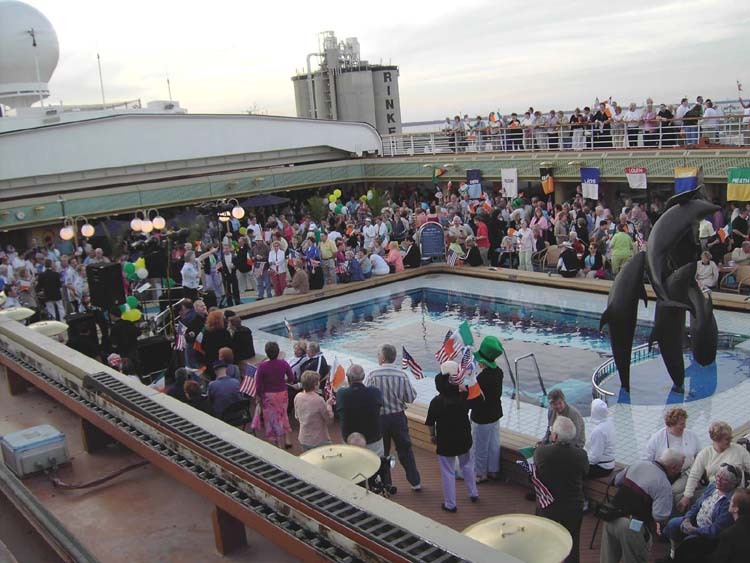 ship which also gave them time to relax and enjoy the many attractions and facilities that the cruise had to offer. 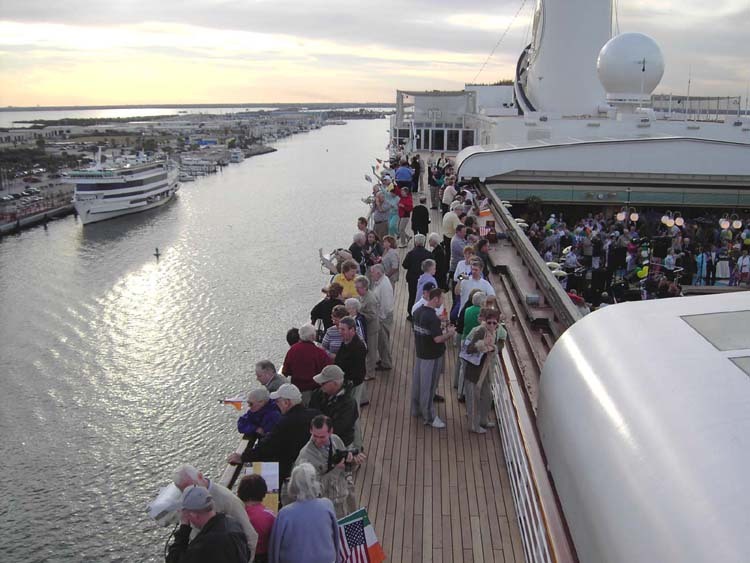 To view photos of cruise guests with Ann, click the 'guest pics' button at the top of this page.